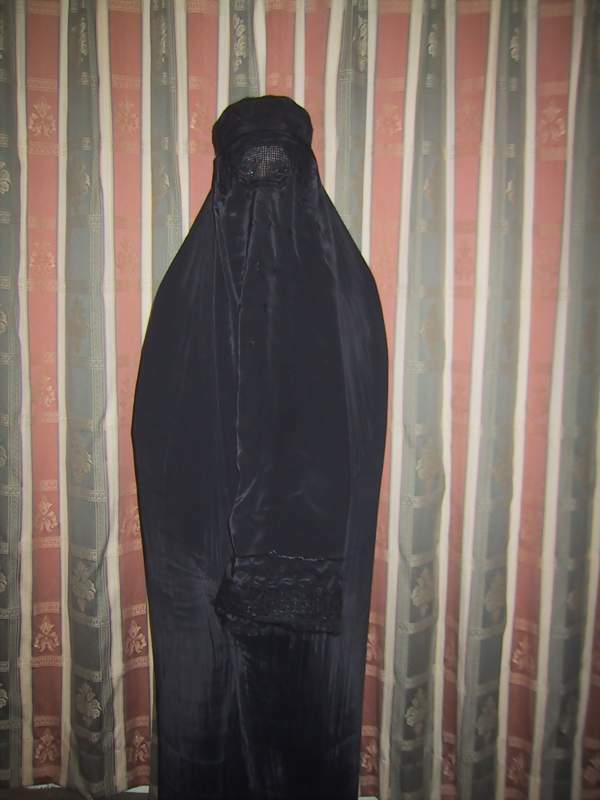 BURQA BANNED…THE FACE OF THINGS TO COME? Did you see that the Burqa is to be banned, at last, in the Netherlands? The Government has insisted that the burqa was not an acceptable part of public life in the Netherlands. Immigration Minister Rita Verdonk says…. "The Cabinet finds it undesirable that face-covering clothing – including the burqa – is worn in public places for reasons of public order, security and protection of citizens. It is very important that we can see each other and can communicate with each other. Because we are so tolerant we want to respect each other." Naturally, the more vociferous variant of Muslim is up in arms at this planned legislation. Tough. They need to get oiver themselves. The sooner the mask of Islam is BANNED in the UK the better. It’s time we stood up to the militant ambitions of the ROP. This is proof that some things are good at any age….ENJOY! ‘Elton John calls for all religion to be banned because it is seen as ‘anti-gay’. Nothing by way of condemnation comes forth from the ruling classes. If the reverse had been the case, those same classes would have created uproar. Proof that our rulers prefer us to be gay instead of religious.’ Discuss. You can often get an idea of how officialdom treats the society over which it has control by the most unusual of indicators. My belief is that the UK is primarily a country where the people (excluding minorities) are generally treated with a spectrum ranging from ambivalence to outright contempt. In short, Britain is a country which expects a great deal in financial reward from its citizenry and gives very little value for money in return. I’ll give you a small example which you might think has no relevance to the argument, but is for me a metaphor for the country as a whole. Today I went to spend the £300 birthday money I received two days ago for my 34 years young. I decided to go to Leeds (I usually prefer Manchester if I have the time). Not wanting to get too crude about lavatorial habits, suffice to say I emptied my bladder before leaving home. As usual there was a heavy traffic jam on the M62 and, by the time I reached the multi-storey car park in Leeds, I was cross-legged with discomfort. Upon entering the car park I noticed all the usual signs demanding money for the use of the site: ‘Have You Paid?’; ‘Please Pay’; ‘Pay Here’; ‘Please Pay and Display’; Have You Paid and Displayed?’; and, the most abominable of all, ‘No Change Given, Overpayment Accepted’. At this point I sellotaped a small notice to the machine and wrote; ‘Yeah, but I doubt you’ll accept UNDERpayment, will you, you greedy, grabbing b******s?’ . Descending the three storeys to street level I counted no less than 23 signs reminding people that they had to pay. By this point I thought my bladder was going to explode through my navel so I managed to find an attendant (presumably employed to ensure people had paid, as if 23 signs were insufficient) and asked him if there was a toilet in the building. He pointed me in the direction of the gents and, when I arrived at the toilet block, there was ONE sign (ONE POXY SIGN!) about 8 X 4 inches indicating the facility. As far as the officialdom there are concerned, it doesn’t matter if you’re on the brink of renal failure just as long as you remember to pay (or overpay!!) for your car parking space. The attitude shown by the owners of that car park is exactly the attitude that now predominates with the authorities in the UK. If you want something from them, you have to wait an age. If the reverse is the case, they expect payment yesterday. Take my friend who has just been made redundant from his job in the civil service (too busy employing Islamic militants and illegal Africans, I suppose, along with all the other ethnics and queens employed on background to fulfil politically correct quotas in the public services). He was promised his first payment of Job Seekers Allowance after 6 weeks. Now, nearly ten weeks later, he is still waiting for his first payment. I’ve been helping him out financially for a short while. He’s irrelevant you see: born here and paid in taxes all his working life. If Noyamusa OompaLoompa, fresh on these shores from Cameroon had applied for a state benefit, the Job Centre officials would be falling over themselves to ensure he received everything he was ‘entitled’ to. Notwithstanding his nine weeks of fiscal starvation, he has just received a letter from the tax office informing him that unless he sends in his record of earnings for the period of unemployment, they will immediately investigate and possibly make further tax demands. Nine and a half weeks to get something out of Britain; nine and a half hours for Britain to get something out of you. We pay practically the highest charges for daily living in Europe. Will there be a revolution? Doubtful. The only way to get the average Brit off his fat, idle arse is to start charging exorbitant rates for the privilege of watching football on the television. That would convulse him into action!! Not so many weeks ago, Gordon “Call me Prudence, but not too loudly” Brown – UK Chancellor of the Exchequer and PM-in-waiting, revealed that there would be a £50 BILLION cash bonanza for Northern Ireland if only unionists accepted power-sharing with Sinn Fein/IRA. The handmaiden media trumpeted this idea as the best thing to have ever happened to the Province even as ATW laughed at the entire farce. Whoops. An economist advising the Assembly parties has claimed MLAs are “spitting rivets” (I doubt it, more like jelly) over attempts to portray Treasury funding proposals for the province as highly significant. Mr Hain has, meanwhile, now acknowledged that the package announced by the Chancellor earlier this month “confirms” that Government spending here will be maintained at its “current level”. The Secretary of State had previously described Mr Brown’s offer to a new power-sharing executive as “extraordinary”!!! So when Peter said “extraordinary” he actually meant “ordinary”. 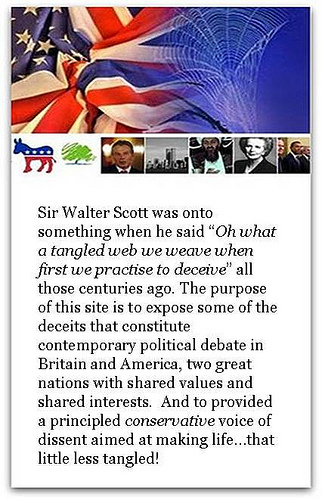 What’s the surprise – this Secretary of State wouldn’t recognise truth if it came up and bit him. He’s a man who will say anything to get his way – no wonder he fancies becoming Gordon Brown’s Deputy PM. Nice to see the MSM catch up with what we were saying here weeks ago!! Here’s another great tune from eons ago – still very popular. The band never quite reclaimed the heights of success that this song granted them – but it’s a classic! I love the dead stops in the song – such great creativity! 1558 – Elizabeth I succeeds to the English throne. 1800 – The US Congress meets for the first time in Washington DC. 1839 – Italian composer Giuseppe Verdi’s first opera, Oberto, conte di San Bonifacio debuts in Milan. The premiere was held at the Teatro La Scala, where Verdi had first learned his craft from composer and maestro Vincenzo Lavigna. 1955 – Anglesey becomes the first part of the UK to introduce fluoride in tap water. 1970 – Stephanie Rahn gets her picture in a British newspaper – The Sun’s first Page 3 girl. 1997 – Six Britons, including three from one family, are among 61 tourists killed when they are attacked by Muslim terrorists in the Valley of the Queens at Luxor in Egypt. 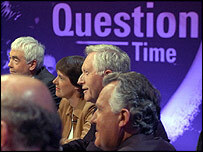 Did anyone else see the BBC’s "Question Time" programme last night? Wasn’t it hopeless? Boris Johnson – the alleged Conservative, just about agreed with everything that lefty "comedienne" Shappi Khorsandi said. Just hopeless. Boris may be a well educated guy – but I think his "Billy Bunter Public Schoolboy" image that he so carefully cultivates is revolting. He’s a class clown ironically, Khorsandi was not even funny! Maybe she should try and enter politics and Boris could try stand-up? Did you spot his faux anger when Cameron was (rightly) mocked?? Hilarious. Meanwhile the disastrously inept Tony McNulty was there to parrot the Government line. He was awful – no wonder he was sacked when Immigration Minister! I laughed when he pointed out the difference between what "normal" people think and what politicians think. Say no more. Finally, we had Robert Kilroy-Silk – who appears even more eccentric than ever. He’s a bit odd, I think – and politically confused. He’ll not get re-elected – so I hope he enjoys the 15 minutes of fame that his MEP position provides. It won’t last. I am currently locked in a Kafkaesque battle with the DVLA over a car that I used to own, that was scrapped. The DVLA refunded the road tax remaining on the vehicle, and then some weeks later issued me with a penalty notice for not taxing the vehicle. The telephone number on the letter went to a recorded message explaining that individual cases could not be discussed, then it cut dead. I wrote to them explaining where and when the car was scrapped, to no avail. I am now investigating with the scrap yard and the car dealer who took it there, to try and establish what went wrong. I have fallen foul of one of the (venal, stupid, medacious) Labour Government’s “guilty cos we say so” laws. All they need to do is “lose” the paperwork, and issue a fine, knowing that the victim will most likely pay up. I still have a residual desire to stick within the Law, as this is how I was brought up, but the truth is these days you’re better off not giving a damn. If I’d torched the old car and reported it stolen, I’d have saved myself a lot of trouble.